Visiting the Sagrada Familia (the Church of the Holy Family) in Barcelona recently was a moment like that for me. Those familiar with Barcelona will know that the Sagrada Familia was, and still is, a visionary project to build a new church (now designated a Basilica) for the people of Barcelona. Although not its founder, Antoni Gaudi worked on the project as its architect for 43 years from 1883 (a year after its construction begun in 1882) until his untimely accidental death in 1926. It is not yet finished but its completion is planned for 2026, the centenary of his death. So what makes the building so special and a source of creative wonder? 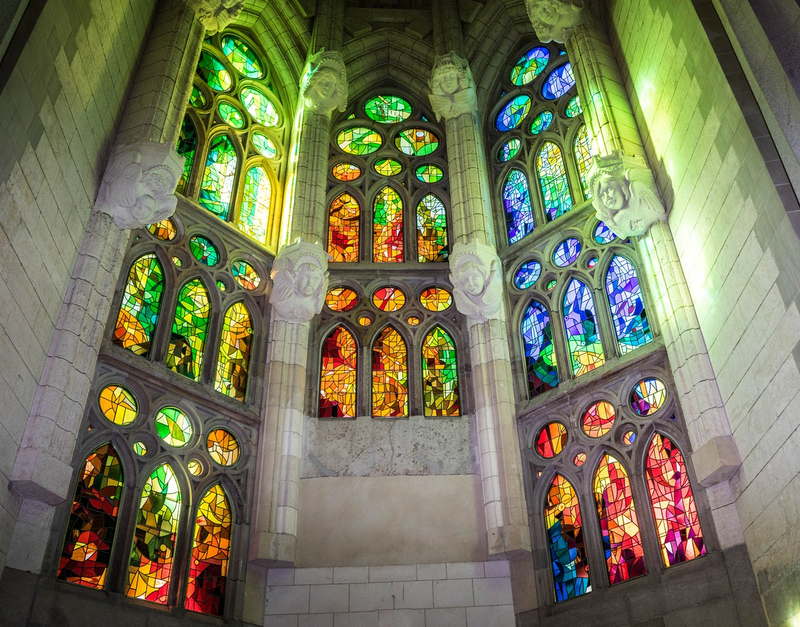 The building speaks of the faith which inspired the design; for Gaudi, nature and the Christian faith are both explicit in his design and vision. 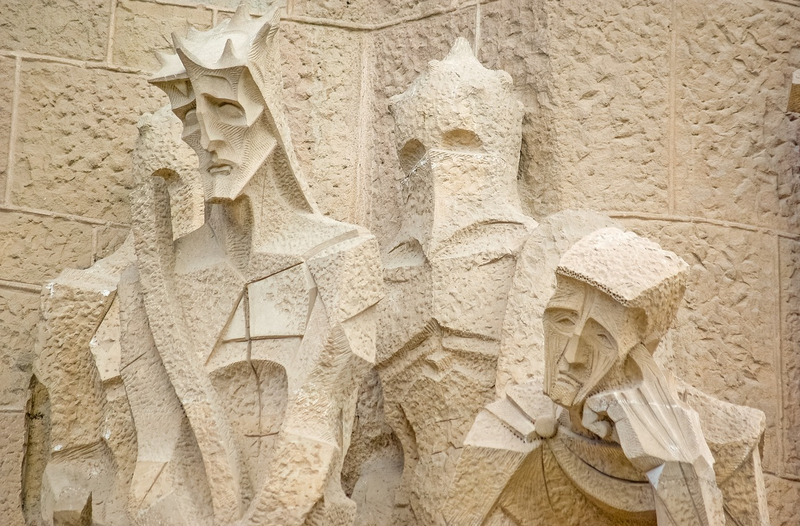 The Christian story of the nativity, crucifixion and resurrection is told on the outside facades with the influence of cubism in the figures sculpted depicting the passion. The huge central columns inside are designed as trees with branches through which light comes through into the forest which reflects the natural world. Stained glass is used to create evocative colours as light cascades into the building. In his desire to overcome the defects he saw in Gothic structural systems, Gaudí aimed to create a new architecture with balanced and self-supporting structures. In this way he was able to create his forest using columns and branches that would not collapse. 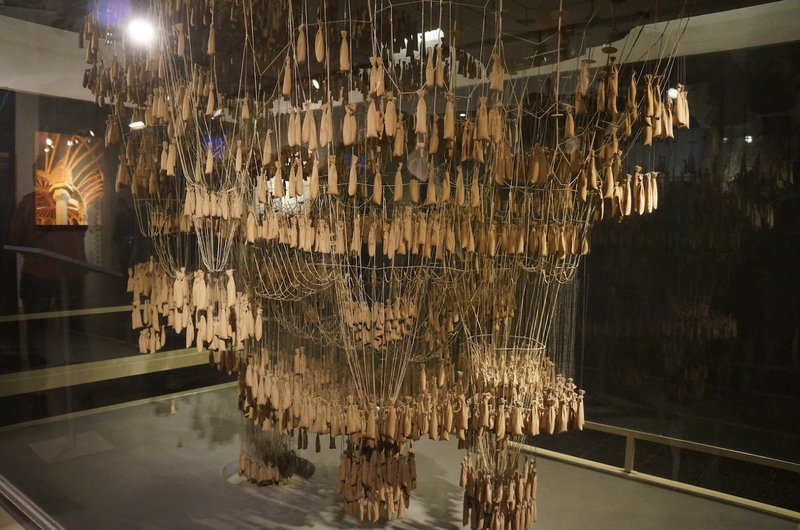 In the design process Gaudi used geometry and built inverted models in his workshop on which he hung weights from chains to calculate loads. He then brilliantly turned these models upside down using his load calculations. Gaudí thus arrived at the revolutionary idea of leaning columns branching out like trees and of using the idea of a forest. This not only created a space of magical lighting conducive to intimacy and meditation, but as an organised and hierarchical structure for the optimal support of a beautiful vault of leaves. Each tree splits into branches and supports part of the vaulting. Taking so long to build it has meant that building technology has progressed apace during the 136 years so far of its construction and thus cutting edge technology is now used to complete it. The Sagrada Familia was and still is a constructional challenge: it is one of the largest testing grounds for construction methods in the world. All this might seem a long way from a blog for owner managed businesses but not a bit of it! The whole of Sagrada Familia is a living breathing testimony to both the faith on which it is built and also the physical world in which we live. How many of our businesses can claim to be holistic? To be the embodiment of all that we say we are about. So often something about our business contradicts its main claim. For large businesses that might be in the areas of corporate governance, customer service, financial probity, treatment of employees or payment of suppliers. For owner managed businesses it can be more subtle such as weak financial management, the absence of a marketing strategy or failing to trust our staff to do their job. Sagrada Familia uses new technology to fulfil its original vision. Our businesses will benefit immeasurably from new thinking and the new business tools available to us. ‘Strategy on a page’ was not around when many of our businesses were founded nor was mentoring much spoken of, but a wide array of business tools are available to us today and are invaluable to our success. Gaudí said “I am a geometrician, meaning I synthesise.” It is significant how Gaudi used geometry in the design of Sagrada Familia. Inverted geometry was used to create a strong structure. So in our businesses the inter relationships within their design can create strong and flexible organisations. The inter-connection of the organisation with people and finance can create a strong and dynamic system that can withstand great pressure. 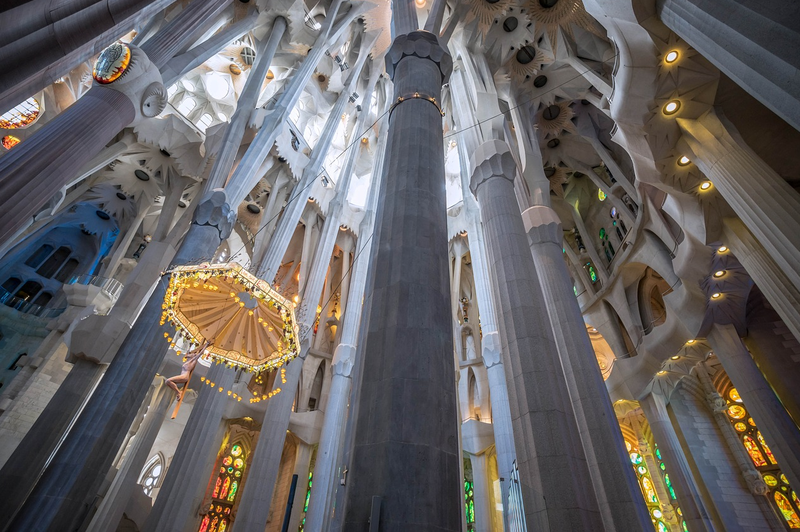 The work of Gaudi in the Sagrada Familia is included in UNESCO’s World Heritage list which aims to ensure cultural sites around the world, chosen for their outstanding and universal value, are identified and protected from damage or destruction. Being listed entails a commitment to conservation as their loss would impoverish the heritage of all of humanity. Our businesses may not all achieve world class recognition but they will be recognised in some appropriate way if they are enterprises of excellence. As owner managers we can rightfully be ambitious for their success and recognition. Great buildings are rarely finished but go on developing to serve the community for which they were built. So our businesses need to carry on developing, refining themselves and meeting the changing needs of their customers and stakeholders. It is exciting for us at SME Strategies to be on the same journey, learning new skills and gaining fresh insights that we use in working with our clients to help them grow into fantastic enterprises. 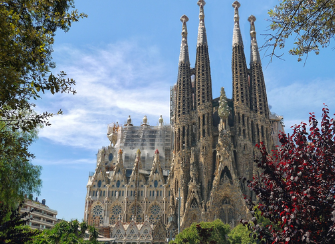 Businesses will take time to build and a common mistake is to think a business is complete and refined after only a short period of time – mind you the 144 years to build the Sagrada Familia is longer than most of us will need! In our businesses we need to be prepared to look out with new eyes to see opportunities that are waiting for us – and very often these opportunities will come from surprising quarters and may be under our noses all along.